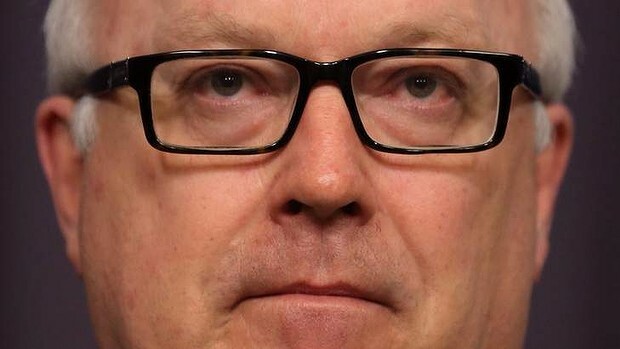 Changes to the Racial Discrimination Act proposed by federal Attorney-General George Brandis would ”open the door to Holocaust deniers”, allowing them to publish their claims with impunity, legal advice to NSW Premier Barry O’Farrell says. The opinion by leading barrister Arthur Moses, SC, says the changes would ”radically narrow the protection that Australian citizens will receive from racial vilification” and ”undermine the very purpose” of the act. ”A new legislative right to engage in racial vilification in the course of public discussion would, for instance, open the door to Holocaust deniers to publish their opinions on websites and on social media in the course of ‘public discussion’,” he writes in the opinion handed to Mr O’Farrell on Friday. Senator Brandis plans to abolish section 18C of the Racial Discrimination Act, which makes it unlawful to publicly ”offend, insult, humiliate or intimidate” a person. Section 18D, which provides protections for freedom of speech, will be removed. The act was used to prosecute News Corp columnist Andrew Bolt over an article he wrote attacking ”fair-skinned” Aborigines. But, in his opinion, Mr Moses cites the 2003 prosecution of Fredrick Toben over publication of his view that there were ”serious doubts” the Holocaust took place and some Jewish people exaggerated the number of Jews massacred during World War II for improper reasons, including financial gain. The full bench of the Federal Court found Dr Toben’s comments were not made in ”good faith” – an exception to prosecution in the existing act. The proposed new law protects comments made ”in the course of participating in the public discussion of any political, social, cultural, religious, artistic, academic or scientific matter”. ”This exception is wide enough to allow people to publish anti-Semitic material if they demonstrate that they were participating in public discussion,” Mr Moses says. He says Dr Toben’s comments ”would be allowed under the new law, which has no ‘good faith’ exception”. Mr O’Farrell sought the advice from Mr Moses after comments by Senator Brandis that people ”do have a right to be bigots”. During debate in the Senate he declared that ”in a free country, people do have rights to say things that other people find insulting or offensive or bigoted”. The comments prompted protests. Mr O’Farrell responded last week by publicly declaring that bigotry ”should never be sanctioned, whether intentionally or unintentionally” and that ”vilification on the grounds of race or religion is always wrong”. The proposed changes have also been criticised by Australian Human Rights Commission president Gillian Triggs. Senator Brandis has not denied that he was forced to water down the original proposal for the bill by his cabinet colleagues. One minister previously said, ”George has really drunk the right-wing Kool-Aid” while a second minister said the original proposal had been ”much worse”. Senator Brandis is out of the country. A spokesman did not respond to a request for comment.